Natural-looking crowns - Enhance and Protect your smile! The main factor that causes this is ‘dental plaque’, a thick sticky substance that collects on the teeth. Made up of food deposits and salivary products, it houses a large amount of bacteria. If food, especially those containing sugar and starch is left in the mouth, bacteria acts on it, breaking it down into acids. The acids then soften and dissolve the minerals of the tooth producing microscopic cavities in the tooth. Over time, with repeated acid attacks, enough mineral is dissolved causing a chalky white spot, which is the first visible sign of decay. As further attacks of acid occur, the microscopic cavities join together to produce a visible cavity or hole within the tooth. This hole provides a well-protected nesting place for more plaque and food, which furthers the spread of decay. Why does a decayed tooth need treatment? If left untreated a small hole or cavity would continue to grow until it becomes so large that bacteria might reach the pulp in the tooth, causing a toothache and eventually an infection. The goal of treatment is to preserve the remaining healthy tooth and prevent complications. Depending upon the severity of decay involved, different procedures are performed to treat decay. A filling is the most common procedure to treat decayed tooth. After decay is removed from a tooth, something must be positioned in that space to give strength back to the tooth. 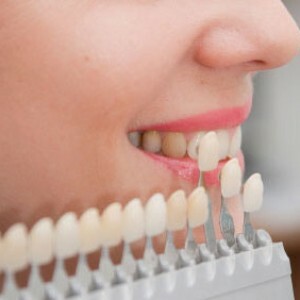 Mercury-free White Fillings is the modern material of choice, it is not only strong, durable, but also very attractive due to the natural look and feel. You can also replace old gold and silver filling with the natural looking materials of a filling. If the tooth is decayed too much, you may end up needing a crown or cap to protect the tooth. White fillings give a more natural look and can bring confidence back into your smile. Call 209-522-6400 today!!! A crown is a permanent covering that fits over an original tooth that is either decayed, damaged or cracked. Crowns are made of a variety of different materials such as porcelain, gold or porcelain fused to metal. Porcelain generally has the most natural appearance, although it is often less durable than gold. Give yourself the gift of a beautiful, new smile and show the world a healthier, happier you. Call 209-522-6400 today!! !